Starting a food truck is a dream that is very much alive in today’s world, and many chefs and entrepreneurs are making that dream come true. Like with anything awesome, however, it’s not always the easiest thing in the world to do, which is exactly why we published our brand new book, How to Start a Food Truck: The Definitive Guide. Beyond the right information and the how-tos, it’s always good to get a real-life FoodTruckr’s point of view and experience on the industry and what it’s really like to get started. 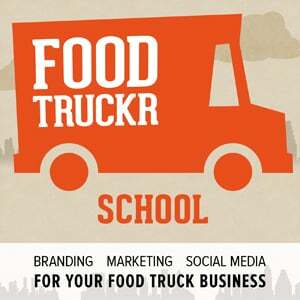 Gina, who owns Get the Scoop, a gourmet ice cream and fun food food truck out of Rochford, South Dakota, joins us today on the FoodTruckr School Podcast to give us the real deal on what it’s like to be in this business. She gives us amazing tips and advice, from everything to getting started, financing and even adding a catering element to your food truck as well. Definitely a must-listen – for those who are looking to get started and those who are already on the road but want more out of their trucking experience. Be sure to say thanks to Gina on Facebook and Twitter when you get a chance.